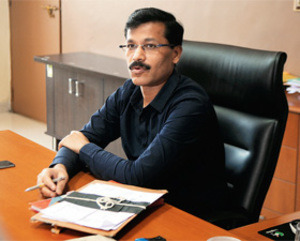 PUNE: The special general body meeting at Pune Municipal Corporation (PMC) in an effort to organize affairs at the Pune Mahanagar Parivahan Mahamandal Limited (PMPML), ended rather abruptly after chairman and managing director of the public transport body Tukaram Mundhe decided to walk out halfway through the parley. The meeting was organized to review the functioning of PMPML as a public transport body. Elected members raised slogans against Mundhe terming his exit as "unruly and arrogant behaviour." They also demanded that action be taken against him. The meeting started at 11am at PMC's general body hall. Mundhe was present for the meeting. The elected members raised various issues regarding the public transport system. They objected to PMPML's style of functioning. The PMPML chief spoke in favour of the action taken by his office claiming that they are trying to provide a commuter-centric public bus service. Even as the elected representatives were sharing their views, Mundhe left the hall after informing municipal commissioner Kunal Kumar. When the members sought to know where Mundhe was, deputy mayor Sidhartha Dhende could not provide a reply. The corporators objected and argued that the PMPML chief should have informed Dhende, who was chairing the meeting. BJP leaders and deputy mayor tried to pacify the agitated corporators, who had come into the well of the house. However, they did not budge.